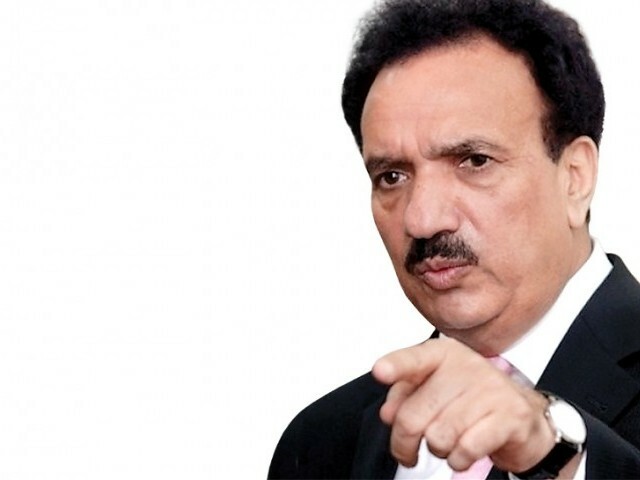 In a move that raises a number of questions, and possibly a number of ramifications, election authorities announced on Tuesday that they have decided not to disqualify Interior Minister Rehman Malik. The Election Commission of Pakistan (ECP) said that it had endorsed the stand of Senate authorities that no question of disqualification had arisen in the case of Senator Malik – who was under scrutiny for submitting false statements to the Supreme Court in the dual nationality case. The deputy chair of the Senate, Sabir Baloch, who is currently the acting chairman, rejected two separate references against Senator Malik that sought his disqualification. case probing dual national parliamentarians. Eleven federal and provincial lawmakers found to have dual nationality were held to be disqualified by the Supreme Court, given that Pakistani citizens holding foreign nationalities are not eligible to be parliamentarians, according the Constitution of Pakistan. However, Senator Malik’s case was unique, and the court did not issue a direct verdict on his matter, and only raised the question of disqualification. During the course of the case, Senator Malik had told the court that he had renounced his British citizenship before being elected to the Senate in 2008. However, when his documents were scrutinized, a blatant conflict emerged: The evidence suggested that his renunciation had taken place on May 29, 2012 – that is, when the court had taken notice of the matter. As the matter was being heard in court, and his status as Senator was suspended, Malik resigned from the Senate on July 11, 2012 – and was then reelected within two weeks. Ostensibly, this would have given the interior minister cover – given that he had actually renounced his citizenship before resigning and being reelected. But the issue of perjury (lying under oath) came to the fore. “Mr. A. Rahman Malik, in view of the false declaration filed by him at the time of contesting the election to the Senate held in the year 2008, wherein he was elected, cannot be considered sagacious, righteous, honest and ameen within the contemplation of section 99(1)(f) of the Act of 1976. Therefore, for such purposes Article 63(p) is to be adhered to because the disqualification incurred by him is envisaged under the law, referred to hereinabove in view of his own statement that he had renounced his citizenship of UK whereas the fact remains that such renunciation along with declaration can only be seen as having been made on 29.05.2012,” reads a portion of the court order regarding Senator Malik. Two references had been pending with the Senate chairman regarding Senator Malik’s disqualification: One by a citizen Asif Ezdi, and another similar one by lawyer Maulvi Iqbal Haider, who had relied on the observations of the Supreme Court. But the two were dismissed. “Reference Supreme Court short order dated 20-09-2012, detailed judgment dated 16-10-2011, reference of Mr. Asif Azdi dated 26-08-2012 and reference of Malik Iqbal Haider dated 22-09-2012 I have held that no question of disqualification has arisen in respect of senator A. Rehman Malik. Resultantly the Election Commission of Pakistan is being informed accordingly,” wrote Sabir Baloch in his letter to the ECP. Notably, the ECP did not issue any formal statement on the matter on Tuesday. Instead, it was verbally conveyed by officials of the commission to the media. They said the reference regarding Malik is disposed of and no further action can be taken against the minister. Under the process, the Senate chairman has 30 days to decide on the matter and forward it to the ECP. The ECP has 60 days to take action on the matter. If no decision comes on the part of the Senate chairman in the stipulated 30 days, the case is deemed to have automatically been forwarded to the ECP. Following the September 20 court orders, the Senate chairman had until October 20th to forward the matter to the ECP. Interestingly, the letter by the Senate’s (acting) chairman to ECP was disclosed on Tuesday (October 23). In fact, Chief Election Commissioner Justice (retd) Fakhruddin G Ebrahim had himself told the media on Monday that the ECP was yet to receive a letter from the Senate regarding Senator Malik’s case. Though the date mentioned in the letter disclosed on Tuesday is “October 20th” sources said it was actually received by the ECP on October 22nd. The ECP’s meeting regarding this matter was scheduled for Monday, but was postponed due to a meeting between the chief election commissioner and Chief Justice Iftikhar Muhammad Chaudhry. While the decision seems to have brought the interior minister some respite, the move could yet be challenged in court. Earlier this year, the National Assembly Speaker Fehmida had held that no question of disqualification had arisen in the case of the then prime minister Yousaf Raza Gilani, and did not forward the matter to the ECP. Later, her decision was challenged, and the apex court ultimately overruled her. Gilani was disqualified from premiership as well as his National Assembly seat. Senator Dr Asim Hussain, who holds the portfolio of advisor to the prime minister on petroleum, resigned from his Senate seat on Tuesday. He was part of the next batch of parliamentarians faced with court proceedings on their nationality status. However, he will continue in his capacity as ‘advisor,’ which does not require him to be a member of Parliament. ISLAMABAD — Amid growing American frustration with Pakistan’s handling of Islamic militancy, the government here appears less willing than ever to challenge insurgent groups and is more inclined to make peace with them. In a series of recent statements, Pakistani officials have rejected the notion of robust military action against insurgents based in its tribal belt and instead called for truces. At a recent summit, political leaders issued a resolution that did not condemn terrorism but said their policy is dialogue. The decree was widely viewed as having been rubber-stamped by the powerful military, whose top two figures briefed the conference. The approach has puzzled U.S. officials and renewed debate in Pakistan about how to handle insurgents who have killed thousands in attacks nationwide. Much remains unclear about the potential for peacemaking, including which militant groups would be included or willing. But some analysts say Pakistan has lost the resolve to battle homegrown insurgents who many here view as disgruntled brethren. Many here express skepticism about talks, arguing that such efforts had failed in the past. But the idea is backed by Islamic parties and other political leaders. In interviews, politicians and security officials said Pakistan views the Pakistani Taliban, an umbrella insurgent group that is an offshoot of the Afghan movement, as splintered enough to be open to peace deals mediated through tribal elders or clerics. And the United States, they note, is supporting a similar approach in Afghanistan. Pakistan’s fragile civilian government regularly condemns terrorism, and the army has executed several operations in the country’s northwest, including against Pakistani Taliban factions in the Swat Valley and South Waziristan. The battles have scattered some militant leaders, leaving the organization weakened but still capable of carrying out deadly attacks. But there is little public enthusiasm for large-scale military action, which could displace millions of people. Meanwhile, Pakistan is jockeying for inclusion in any Afghan political settlement, which security officials here believe will bring Afghan Taliban representatives into the government. The army therefore sees little incentive to antagonize Pakistan insurgents, who commingle with their Afghan counterparts, security analysts said. An American official said the United States was unsure what to make of the resolution. “We’ll be watching, of course, and asking through military channels what the [Pakistanis] have in mind,” said the official, who spoke on the condition of anonymity to discuss a sensitive relationship. The United States has stepped up a campaign of drone strikes against the Haqqani network, targeting the group with several strikes in recent days. Taliban reaction to the Pakistani overture has been wary. One top commander, Faqir Mohammed, was quoted by local media as saying he welcomed talks — but that they must lead to the establishment of Islamic law. 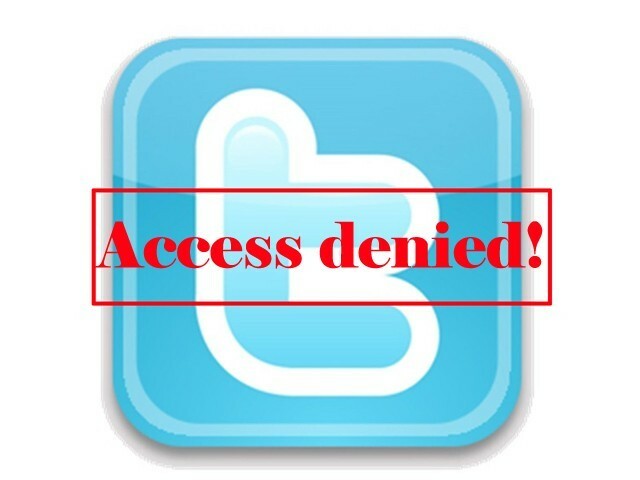 Mohammed later denied willingness to talk. A Pakistani intelligence official pointed to the recent defection of one Pakistani Taliban commander, Fazal Saeed Haqqani, as an argument for truces, which he said exploit insurgent infighting. Pakistan, the official said, “met Haqqani’s demands,” including by releasing some of Haqqani’s imprisoned relatives. Others bemoan the idea of talks as surrender, though many critics remain enthusiastic about reconciliation in Afghanistan. Javed Ashraf Qazi, a senator and former intelligence chief, said the Afghan Taliban is fighting a foreign occupation, while the Pakistani Taliban seeks to create an Islamic caliphate. Pakistan’s numerous past attempts at peacemaking with domestic insurgent groups provide ample reason for doubt. Some analysts say a 2006 deal in North Waziristan helped create a haven in the area, from which the Haqqani network and other fighters now operate freely. The Pakistani army has maintained truces with a few factions, including one led by Hafiz Gul Bahadur, whose North Waziristan-based forces attack U.S. troops in Afghanistan and are closely allied with the Haqqani network. Some analysts speculate that the army has struck other secret deals that it wants to avoid jeopardizing. The military and the Taliban are “ happy nowadays because there are fewer attacks — on both sides,” Yousafzai said. Special correspondent Khan reported from Peshawar, Pakistan. 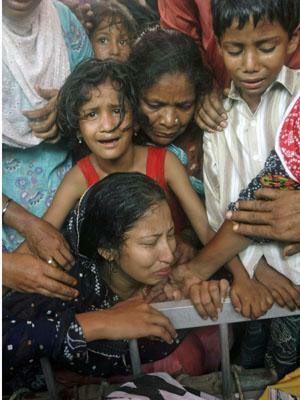 Pakistani security forces have been ordered to shoot on sight when confronting disorders in Karachi, where days of political and ethnic violence have left up to 85 people dead. About 1,000 additional police and paramilitary forces were deployed in Karachi on Friday with new orders to shoot any armed “miscreants” they encounter. Interior Minister Rehman Malik told reporters that dozens of suspects have been detained in connection with a series of targeted killings since Monday. At least 34 people died on Thursday alone when gunmen opened fire on buses. Police say the killings are part of clashes between political groups in Sindh province, including the Muttahida Qaumi Movement and its rival, the Awami National Party (ANP). The MQM largely represents the Urdu-speaking community, and until last month was part of the ruling coalition in Sindh. ANP represents ethnic Pashtuns. 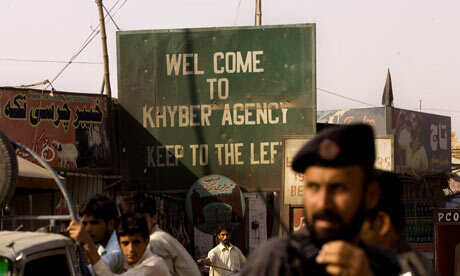 Both those groups and the ruling Pakistan People’s Party are believed to have links to armed groups in Karachi. Shops were closed and streets were deserted in the southern port city Friday after the MQM called for a day of mourning and protest rallies. MQM leader Raza Haroon has said his movement’s supporters are being targeted because the party quit the coalition. The Human Rights Commission of Pakistan says 490 people were victims of targeted killings in Karachi in the first half of this year. On Friday, Pakistani Prime Minister Yousuf Raza Gilani appealed for peace and security in Karachi, saying it was important for the economic development of the country. Amnesty International criticized the government’s order for security forces to “shoot on sight” armed men involved in the violence. The rights group said Friday that by giving troops such power the government is effectively declaring Karachi “a war zone” and encouraging further lawlessness and violence, citing what it said was the army’s record of human rights violations. About 18 million people live in Karachi, the country’s economic hub. The city also has been the scene of sectarian violence between Sunni and Shi’ite Muslims and militant attacks. Meanwhile, in Pakistan’s northwest, military officials say troops backed by jets have killed 11 militants in the Kurram tribal region along the Afghan border. Officials say nearly 50 militants have been killed in Kurram since a military operation began there this week. President Asif Ali Zardari of Pakistan ordered an investigation on Thursday into the shooting death of an apparently unarmed teenager by paramilitary troops in the southern port city of Karachi. The shooting, which was captured on video and broadcast on national television, has led to protests and has been condemned by political parties and human rights groups. It was the second time in recent weeks that a video has shown paramilitary troops using extreme force against civilians. Last month, five Chechens were gunned down in Quetta, Pakistan. The shootings are sure to feed complaints that Pakistan’s security forces are too aggressive and sometimes bypass the sluggish and corrupt judicial system. Pakistan’s military leaders are also still embarrassed by the American raid on Osama bin Laden’s compound in Abbottabad, which the armed forces did not detect. The victim of the Karachi shooting, Sarfraz Shah, whose age was given as 18 or 19, was stopped by paramilitary troops on Wednesday and accused of being involved in an attempted robbery in a nearby park. A spokesman for the troops said a gun had been taken from him, but in the video, Mr. Shah does not appear to be armed when he is shot. The recording shows the young man begging for mercy before being led toward a group of troops. One points his gun at Mr. Shah before firing several shots. Mr. Shah crouches, asking forgiveness while bleeding profusely. “My hand is gone,” Mr. Shah shouts. “Take me to the hospital.” The troops step back, out of the video frame. A government official said five of the troops had been arrested. 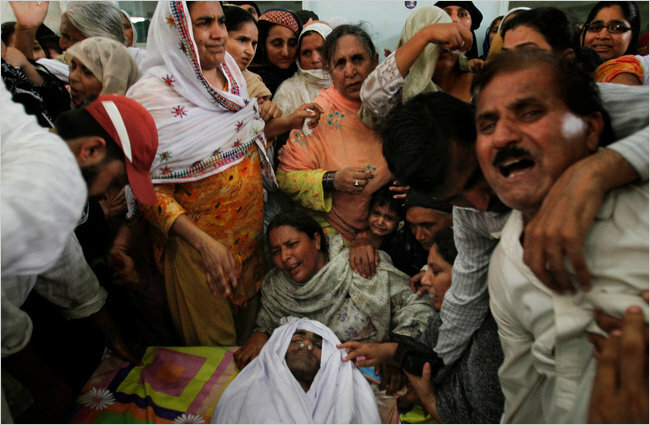 Mr. Shah was buried on Thursday in Karachi, accompanied by protests from family members. The shootings in Quetta last month were also recorded. The police and paramilitary troops initially reported that the victims, three women and two men, were suicide bombers. They were killed near a checkpoint on the outskirts of Quetta, the capital of Baluchistan Province in southwestern Pakistan, in a volley of fire as police officers stood by. Video from local television networks showed one young woman raising her arm, as if to try to stop the gunfire. No weapons were recovered on the victims. An investigation of that shooting is under way. The Pakistani security forces have repeatedly been accused of misusing their power. The army was accused of extrajudicial killings during a military operation to drive out militants that began in the Swat Valley in 2009. The army denied the allegations. The country’s powerful intelligence agencies have also been accused of illegally detaining hundreds of terrorism suspects. And military intelligence has been accused of gross human rights violations in Baluchistan, where a separatist insurgency by Baluch nationalists has long simmered. Pakistani Rangers, the group involved in Mr. Shah’s death, are controlled by the Interior Ministry. Rehman Malik, the country’s interior minister, announced the arrests in the case on Thursday evening, but he also accused Mr. Shah of being part of a gang involved in robberies, according to the local news media. Mr. Malik said Mr. Shah had tried to steal a woman’s purse and was caught by guards in the park before being handed over to the Rangers. The Rangers have been deployed in Karachi for several years and help the local law enforcement authorities in maintaining peace in the city, which is riven by political, ethnic and sectarian tensions. A Pakistani court has ordered the arrest of two senior police officers in connection with Benazir Bhutto’s assassination, reviving hopes for a breakthrough in Pakistan’s most pressing political mystery. An anti-terrorism court ordered the arrest of Rawalpindi’s former police chief, Saud Aziz, and his deputy Khurram Shahzad, who ordered the crime scene to be washed down less than two hours after the killing, destroying critical evidence. A strongly-worded UN report into Bhutto’s death last April said the decision to wash the crime scene did “irreparable damage” to the subsequent investigation. Investigators speculated that Aziz had been influenced by powerful military intelligence agencies. Aziz and Khurram, who are now retired from the police, could not be contacted today. They are due to be formally charged on 11 December along with five men already in custody. The warrants are the latest twist in a torturously slow police investigation. Three years after Bhutto was killed in a suicide blast as she left an election rally in Rawalpindi on 27 December 2007, Pakistanis have little idea of who was behind her death. Pervez Musharraf, who was president at the time, initially blamed Taliban leader Baitullah Mehsud, but officials from Bhutto’s party, the PPP, have said that other forces, possibly including elements of Pakistan’s powerful military, played a role in her death. Bhutto’s widower, President Asif Zardari, has vowed to unveil her killers, but made little progress in an investigation bogged down by controversy, recrimination and conspiracy theories – one popular rumour in Pakistan has it that Zardari himself was responsible. The three-man UN investigation into the killing, headed by Chilean diplomat Heraldo Muñoz, published its report last April in an effort to bring some clarity. It dismissed the allegations against Zardari and blamed Musharraf for failing to protect Bhutto, while accusing police and intelligence officials of hampering the investigation into her death. The UN team said that Aziz stalled the investigation for two days after Bhutto’s death, deliberately prevented a postmortem on her body, and gave the order to sanitise the crime scene just 100 minutes after Bhutto’s death. As a result crucial DNA evidence was lost and investigators gathered just 23 pieces of evidence instead of the “thousands” that would be expected, Muñoz’s team noted. The UN focused on the actions of Aziz, who witnesses said was “constantly talking on his mobile phone” as doctors scrambled to save Bhutto’s life in a Rawalpindi hospital. The strongly-worded report represented a watershed in moribund efforts to solve the mystery of Bhutto’s death – Pakistan’s greatest political trauma since the dictator General Zia-ul-Haq died in mysterious circumstances in 1988. But it fell short of identifying those behind her death, and government efforts to advance the probe has since floundered. Bhutto’s own party has been split by divisions. Last week Zardari suspended the membership of Naheed Khan, Bhutto’s confidante, following simmering tensions that included criticism of his failure to find Bhutto’s killers. Critics have also raised questions about the role of Rehman Malik, Bhutto’s security chief and now Pakistan’s interior minister. The main suspect in custody remains a teenager from the tribal belt accused of helping the Bhutto assassins. His case, and those of the police officers, will be heard in camera at Adiala jail outside Rawalpindi. But the government has not probed the role of the other parties mentioned in the UN report – former president Pervez Musharraf, currently in exile in London, and the intelligence services that are considered beyond the control of the civilian authorities.